H216 is rated 5.0 out of 5 by 2. 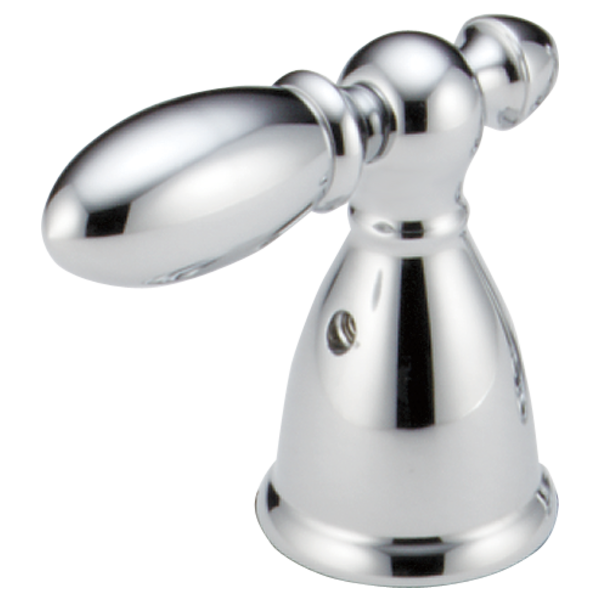 Rated 5 out of 5 by ToughConsumer from We purchased the faucet several years ago during the plumber's closeout. We knew the handles were not specifically for the faucet but they worked, until one day the hot water faucet just stopped. We found replacing the handles with genuine handles not only saved us money by not buying a complete brand-new facet, but we knew we were buying quality. Rated 5 out of 5 by tobie1 from Great Handles! Not sure why they don't come with the faucet, but they're easy to install and look fabulous! Highly recommend the delta faucet/handle combo. There is a tan plastic insert that goes up inside the H216 handle. I was told that the handle insert in not sold separately, that you have to buy an entire handle set. Is that true? Can the H216PB levers be used to replace my existing levers on a Delta model 2521 sink faucet? If yes, I would need two sets of two handles. Are they available? What is the part # for the Venetian bronze base ( The part that sits on top of the tile) &nbsp;for this faucet handle? 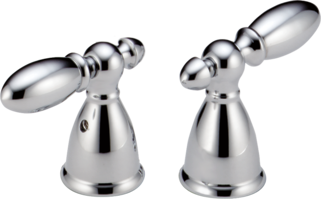 Could we use these handles with a Porter faucet set? We're looking to replace the levers from the Porter set with these. Thank you for your question. The stem unit assembly that will match with the Delta Faucet part # H216PB is Delta Faucet part # RP24096. did delta victorian handles used to come in brushed nickle?